Uni-Trend (UNI-T) is a relatively new Chinese company (founded in early 90's) that has gained quite a lot of market share, especially in Europe. 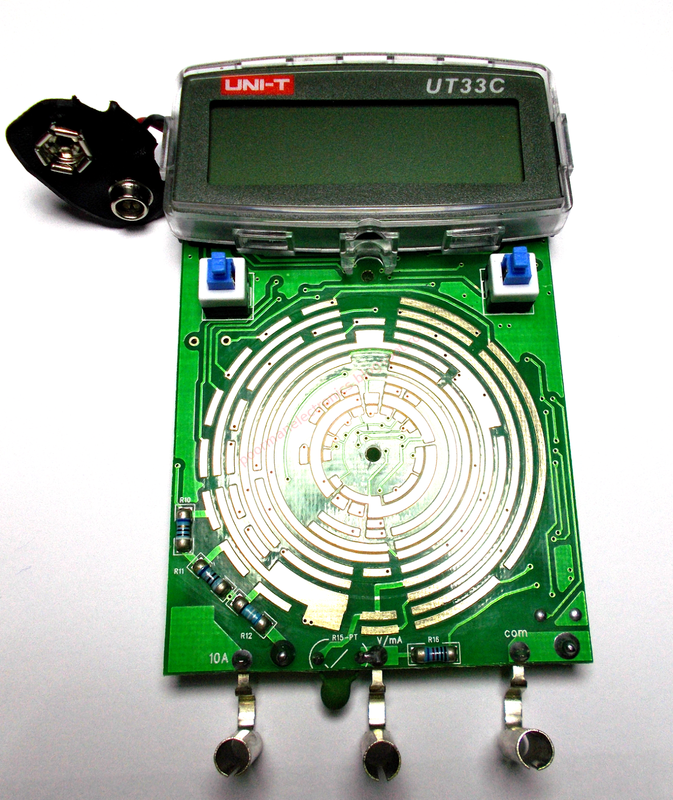 They produce all kinds of test equipment, multimeters, oscilloscopes, thermometers, etc. which usually offer a good balance between cost and quality. Their products lack the toughness of their western counterparts but they do work and most importantly, they won't break your wallet. 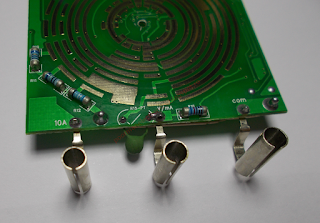 For the general electronics enthusiast, they are more then well suited, but only when working with low energy, otherwise from a safety standpoint they're far from my no.1 choice. All in all, many of their products are worth checking out, but do make sure to read any reviews if you want to buy one. 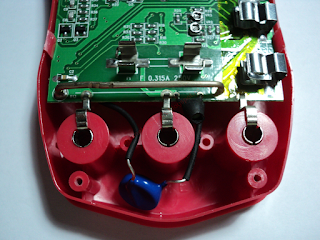 The battery from one of my first multimeters (UT33C) has gone flat so I decided to review the meter it since it has to be torn apart anyway in order to replace the battery. 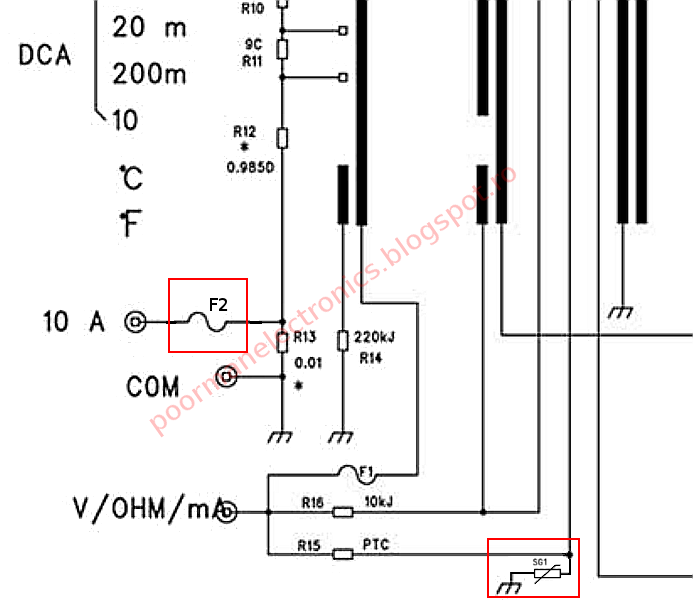 In the next post I'll show a couple of modifications that should (at least theoretically) improve the robustness of this meter. The UT33C is part of the UT33 family and from the first look at the dial it's somewhat similar to the DT830 which everyone knows. There are however some differences. There is a hold button, a backlight button (mechanical latching), a thermometer based on a K-type thermocouple and a continuity tester. The case is made of a thick red plastic and the meter has a protective rubbery (I don't think it's legit rubber, maybe some sort of soft plastic) holster around it. The case itself is solid and does not creak when twisted in the hands. 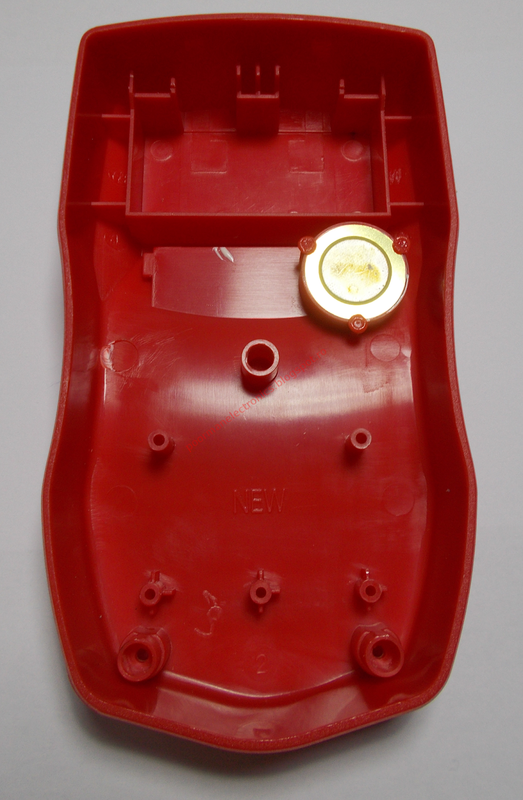 A good safety feature is that the cases overlap around the edges so any flames or fragments will be contained should a catastrophic failure occur while taking a measurement. 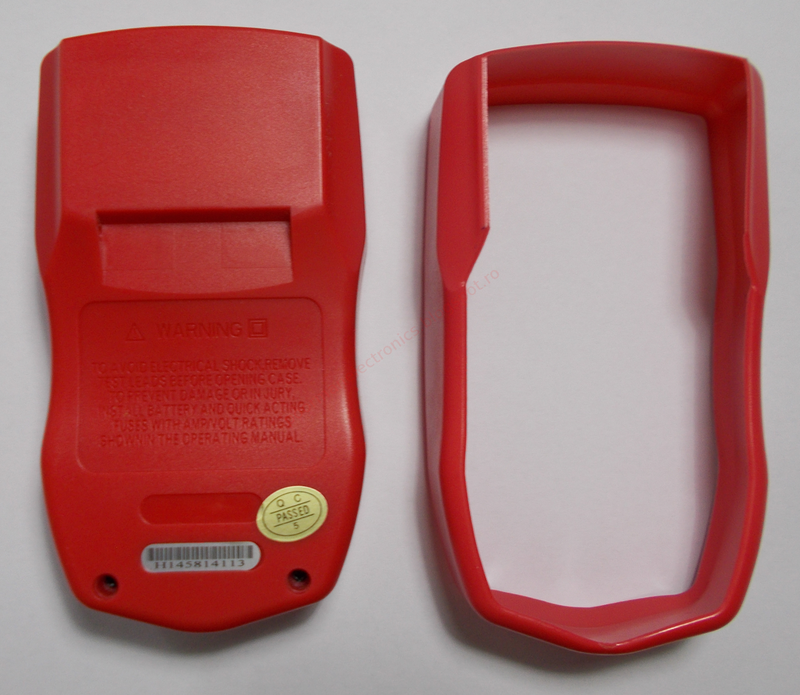 Back of the device and its holster. The LCD is the same size as the DT830 but it's well protected by a thick plastic piece. On the back of the unit there is a standing bale which looks very fragile. 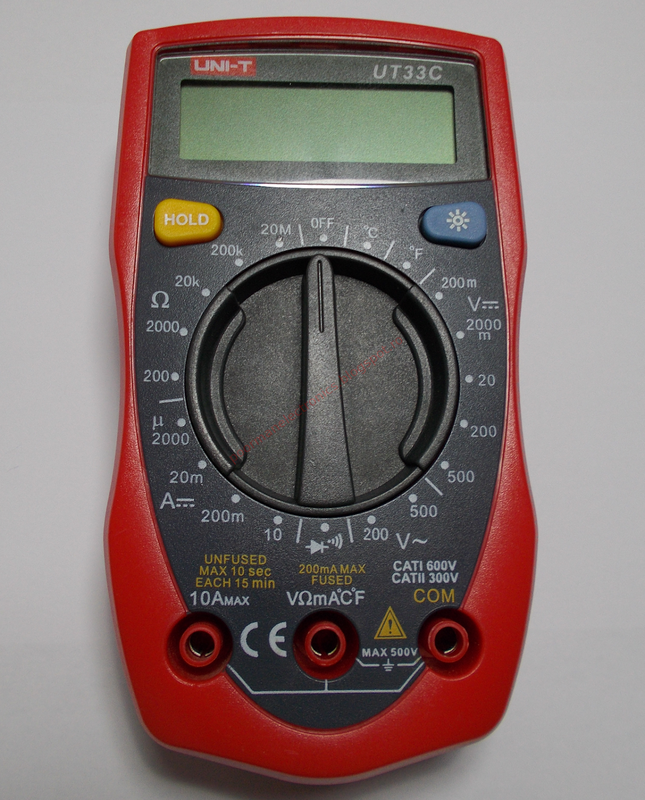 It could be used to angle the multimeter to see its screen, but one should refrain to press the buttons or rotate the range selector while the multimeter is standing on the bale because it will most likely break off. To keep things short, I won't get into any details regarding the accuracy and functions, but you can find everything on UNI-Trend's website. 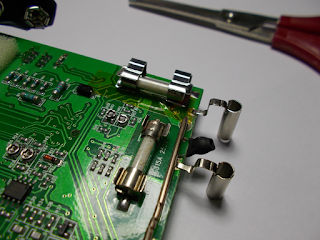 To take the unit apart, one must remove the protecting holster then undo the 2 self-tapping screws on the back of the case. Then gently pry apart the case starting from the bottom. The top is held in place by a plastic latch. 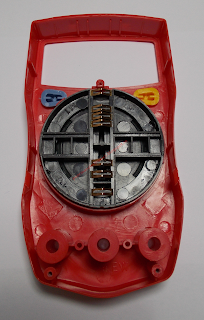 In the back cover there is a small compartment where the battery sits and the buzzer used by the continuity function. 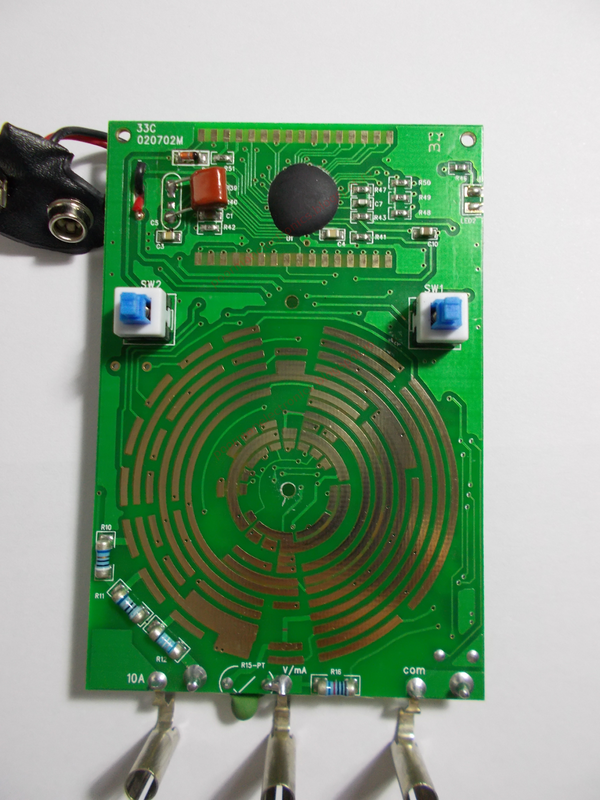 The electrical contact between the PCB and the buzzer is made by springs. 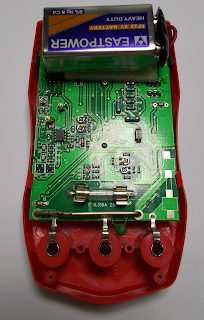 The PCB is held in place with the help of a screw located near the battery and 2 plastic clips (bottom left and right). 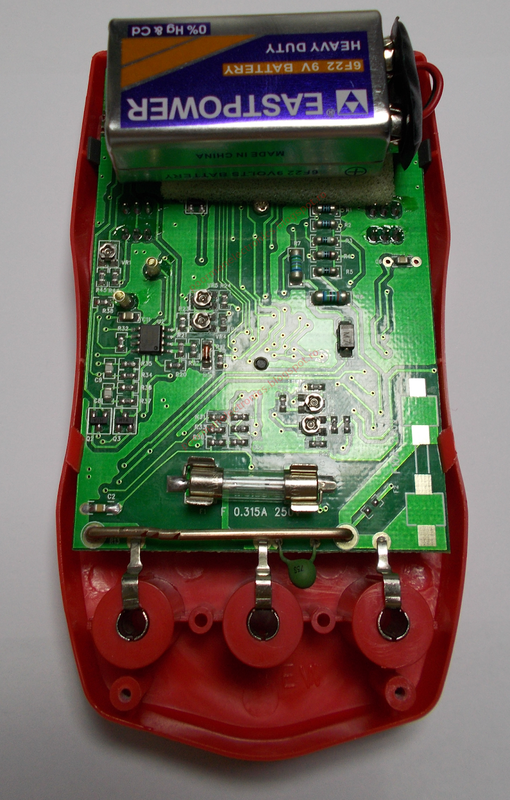 Regarding the battery, it's the classic 9V (6F22) which sits on a piece of foam glued to the board. On the bottom there are the 3 connections for the probes which are of the split type, but that's understandable considering the cost of this thing. On the other side of the PCB there is the LCD assembly. 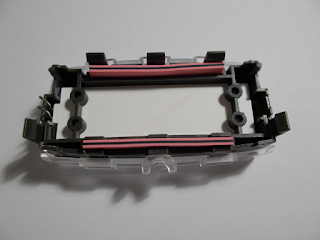 To get it out, first undo the screw located near the battery, desolder the backlight LED then gently bend the plastic latches on the sides of the screen assembly. 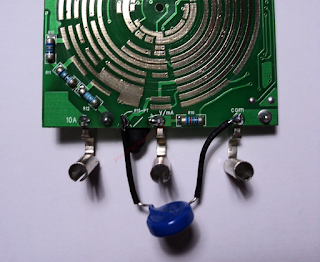 Regarding the IC that powers this multimeter, it is an AME7106 (ICL7106 clone?) 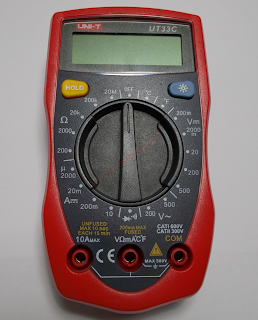 which is used in most low-end multimeters (including the DT830). If the ADC gets damaged, there's no way to replace it because it's in the form of a blob. 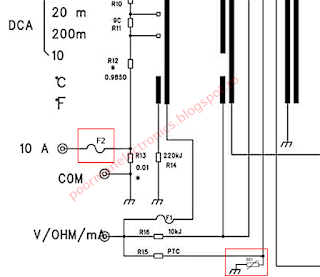 Regarding the protection, here is where the UT33C lacks. It only has a fuse and a PTC thermistor (WMZ75S, 1K, made by Sinochip). Based on this, I wouldn't trust it for anything more than 50 volts. 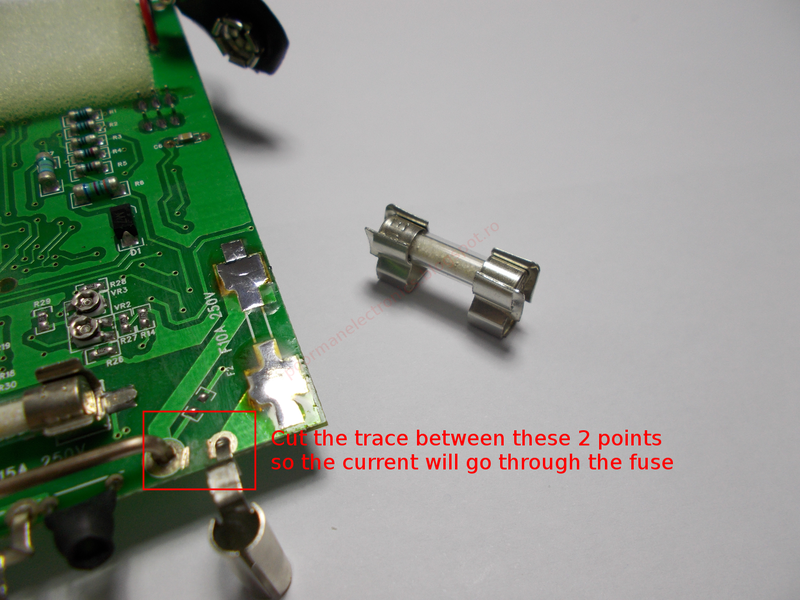 The fuse is rated 315 mA at 250V and is the cheapest one they could find (glass, fast type). Although there is space on the PCB for a fuse for the 10A circuit, they omitted it. Another 2 cents saved! 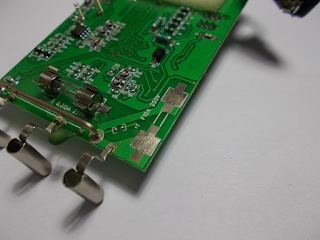 The probes have a length of about 1 m. The wires are covered in a rubbery plastic. 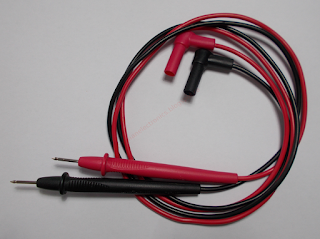 The probes are made of hard plastic and have an ergonomic shape. The nice thing is that the connectors are shrouded for increased protection. The tips are not very sharp but get the job done. Rated for CAT I 1000V, CAT II 600V and 10 A although I highly doubt they can hold 10 A. 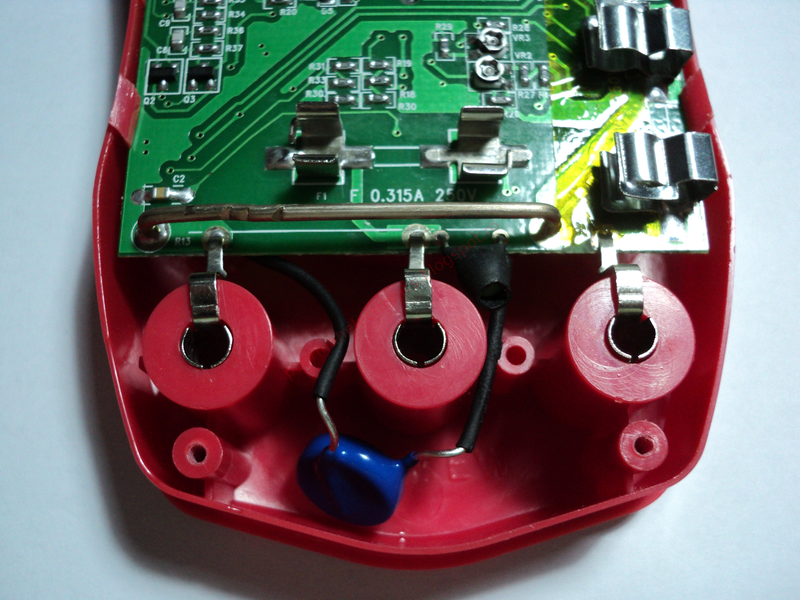 To replace the battery the case must be opened (2 self tapping screws). This can't be done too many times.